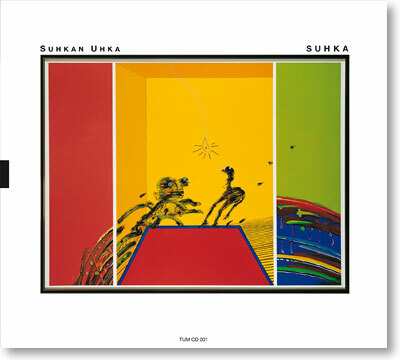 Suhka is the first recording by Suhkan Uhka, the "dream band" founded by Finnish bassist Antti Hytti and saxophonist Jone Takamäki in 2000 and featuring some of the most prominent contemporary Finnish jazz musicians. Suhkan Uhka lays the foundation of its sound on a massive rhythm section of six musicians (double keybords, double basses and double drums/percussion) and a group of formidable soloists possessing an individual style and extraordinary musicianship. The main part of the music on Suhka was composed by Antti Hytti and/or Jone Takamäki and comprises new arrangements of compositions originally created to accompany films, plays, and other visual presentations over a number of years. However, the emphasis on this recording is always on free-flowing interplay and improvisation.